EZBOXVA is the perfect solution for providing you with the additional space you need, where you need it.! If you have a need for a storage unit, but don't want to deal with the hassle of moving all of your belongings like you would with a traditional self-storage solution, give us a call today! After you contact us, we'll deliver a large 8'x8' or 8'x16' box up to your driveway, and you can fill it at your leisure. Serving the following areas, The Northern Neck, the Middle peninsula including Williamsburg, Virginia Beach, Norfolk, Chesapeake, Hampton, Newport News, Portsmouth, Suffolk, and the entire Tidewater Area. So why should you choose us over our competitors? We've taken the time to develop a higher quality portable storage unit to protect against all kinds of outdoor elements like inclement weather, humidity, and even insects. Our roofs were built at an angle instead of flat to keep snow and rain from piling up; this prevents damage to your belongings as it highly reduces the chance of a leak. Additionally, each door has a dust/insect brush to prevent anything from creeping in from outside. Why Rent Portable Storage Units from EZ Box Tidewater? Our website is easy to use and has all the features for a rich interactive experience. EZBox Tidewater is located in Deltaville, VA and will deliver a portable storage right to your door. EZBox Tidewater delivers Portable Storage Units to Virginia Beach and the surrounding areas. Rent online today. Chesapeake and the surrounding areas are also served by EZBox Tidewater. Have a portable storage delivered to your door. EZBox serves the Norfolk and surrounding areas for all your portable storage unit needs. Have a Portable Storage delivered right to your door in Newport News and the surrounding areas. 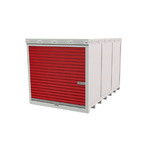 Rent your storage unit online today. Our mobile storage units have a slightly pitched roof to ensure that water and snow fall off the roof fast, meaning no leaks! E-Z Box is also fully insulated to keep your stuff cooler in summer and warmer in winter. We also offer Humi-Rid(tm), a humidity control option, to keep your goods safe from the damaging effects of excess moisture. Humi-Rid units help keep the moisture out of units! There are many situations where you might want or need to declutter your home.The fall is a great time to evaluate the clutter in your house. Portable Storage Containers: The Ultimate Solution for Spring Cleaning. Spring cleaning can be a big task that is often dreaded, especially if you’re looking to sell your home, stage your home for an open house or get rid of a substantial amount clutter. Getting organized doesn’t have to be such a daunting task; you can easily tackle your spring cleaning by using moving storage containers from EZBox Tidewater.